While it has been rumored all summer that Andrew Wiggins would get a massive extension, and that he was not on the table whatsoever in any Kyrie Irving trade talks, yesterday’s report from Darren Wolfson all but confirms that Wiggins has verbally agreed and will sign a five-year, $148 million extension before camp opens. The 22-year-old budding star has flashed plenty of the potential that led to him being the No. 1 selection of the 2014 NBA Draft. He averaged 23.6 points per game last season and improved his three-point shooting drastically, shooting just under 36% from downtown which is about league average. Wiggins is a freak athlete with plenty of springiness and offensive chops to score in a variety of ways, he also possesses all of the physical gifts to be a really good defender but has been an awful defender thus far in his NBA career, especially last season in which he was one of the worst defenders at his position in the NBA. He will now have to learn how to co-exist with Jimmy Butler and have the ball in his hands a little less, not to mention play with more intensity on the defensive end as the Wolves try to return to the postseason for the first time since 2004. 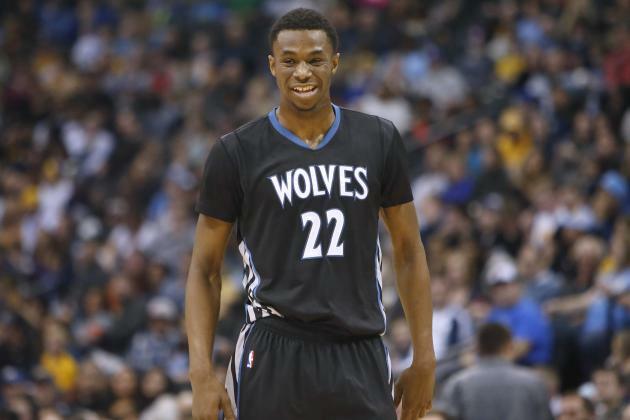 This is a good move for Minnesota and Wiggins, as a 22-year-old stars don’t grow on trees and it is clear that the Wolves have their trio to build around for the foreseeable future with Karl Anthony-Towns, Jimmy Butler and Andrew Wiggins. It will be interesting to see what kind of contract his biggest competition for the No. 1 pick in the 2014 NBA Draft, Jabari Parker, gets this or next off-season as he recovers from his second ACL injury in three seasons of NBA action.